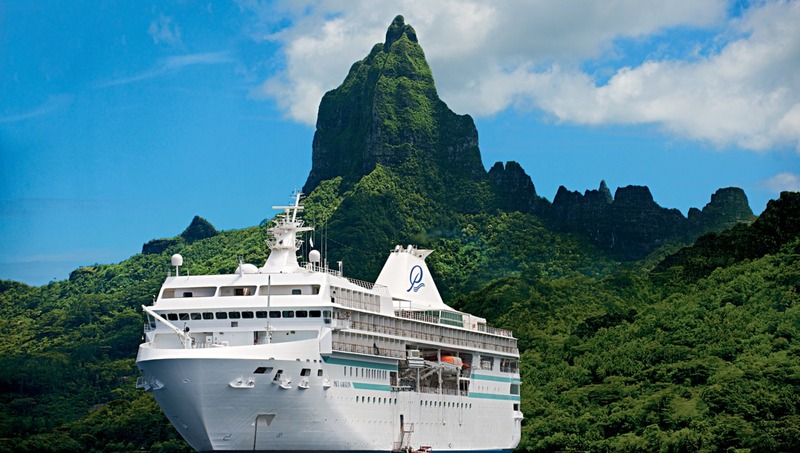 The renowned five star plus ship Paul Gauguin was built specifically to sail the waters of Tahiti, French Polynesia and the South Pacific. 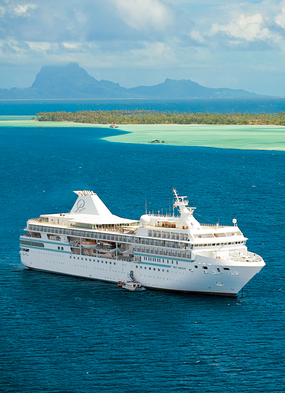 Launched in 1998, the Gauguin is the longest continually operating year-round luxury cruise ship in the South Pacific. No other luxury ship in history has offered this level of singledestination focus and expertise on a yearround basis for such an extended period of time. 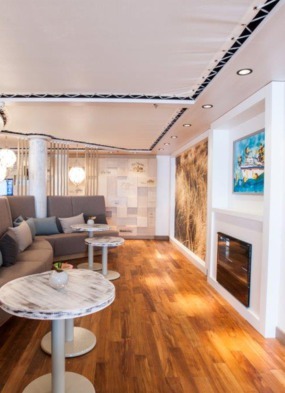 What that means for the customer, is that you will be travelling on a ship that is welcomed with open arms at every port of call, whilst the on board team bring the magic of the islands to you at every moment. Facilities on board include a sports marina at the back of the ship, for both snorkelling and diving (you can even get your PADI certification whilst on board), and with its strong French roots, it is not surprising that enrichment lecturer Jean Michel Cousteau travels on board certain cruises, whilst the renowned chef of Michelin starred Paris restaurant Apicius Jean Paul Vigato has not only overseen the menu in Verandah, but is also on board as guest chef for one or two cruises a year. Caroline Boyle-Turner, an art historian and expert on artist Paul Gauguin, has been a guest lecturer on the Gauguin since 1999. Paul Gauguin Cruises has facilitated Boyle-Turner's visits to Hiva Oa in the Marquesas to research the artist's life. With the permission of the island's mayor, Boyle-Turner was able to remove four teeth presumably belonging to Gauguin, with subsequent analysis confirming that they were indeed the teeth of the great artist! They've now been returned. Pacific Beachcomber, which owns the Paul Gauguin and several hotels in the area, has recently opened The Brando, a luxury eco-resort, on Brando's island Tetiaroa, a place of rare biodiversity and a natural sanctuary for birds and marine life. Preserving and protecting this rare habitat and its plant and animal life is critical to the group. Tetiaroa has a special place in Polynesian history and culture. 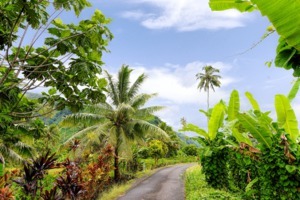 It was the exclusive and favoured retreat of Tahitian royalty for centuries. Marlon Brando first came here while filming Mutiny on the Bounty. 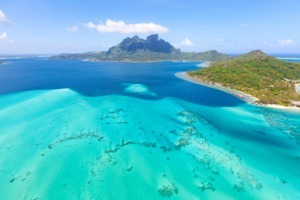 Enthralled by the Polynesian way of life - and the leading lady Tarita, the love of his life - he resolved to find a way to own this piece of paradise and succeeded in his goal in 1967. Together, Brando and Richard Bailey, Chairman and CEO of Pacific Beachcomber, pursued a vision to create the world's first and foremost post-carbon resort which was finally realised after Brando's death in The Brando, with a range of new technologies such as Sea Water Air Conditioning (SWAC), solar energy produced from photovoltaic solar panels along the airstrip, a coconut oil (biofuel) power station , and flow-batteries for storage of energy generated from solar power made primarily from recyclable materials. All vehicles will ultimately be powered by the sun and bicycles are provided to all guests as an option for moving around the island. 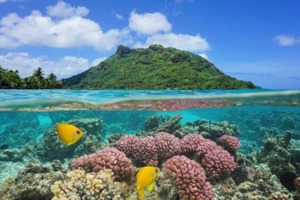 An Ecostation - named "Te Fare rauihi" (The House of Multiple Sciences) - is a hub where scientists from around the world can lead research into sustainable interdependence, implement these lessons on Tetiaroa, and teach them globally. 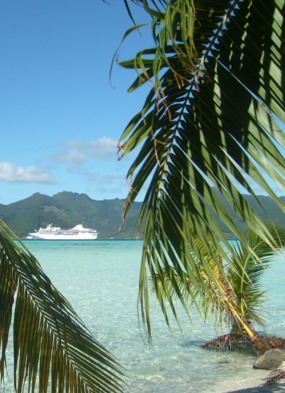 Guests cruising on the Paul Gauguin can enjoy a pre- or post-cruise stay at The Brando. The luxury resort, lying just 30 miles north of Tahiti, is located on a breathtakingly beautiful atoll comprising a dozen idyllic islands surrounding a spectacular lagoon. Each of The Brando's 35 deluxe villas has its own private beach area and plunge pool, and guests enjoy a range of excellent facilities. All-inclusive pricing starts from $3650 per night, with a minimum stay of three nights, in a 1 bedroom villa for up to two guests.